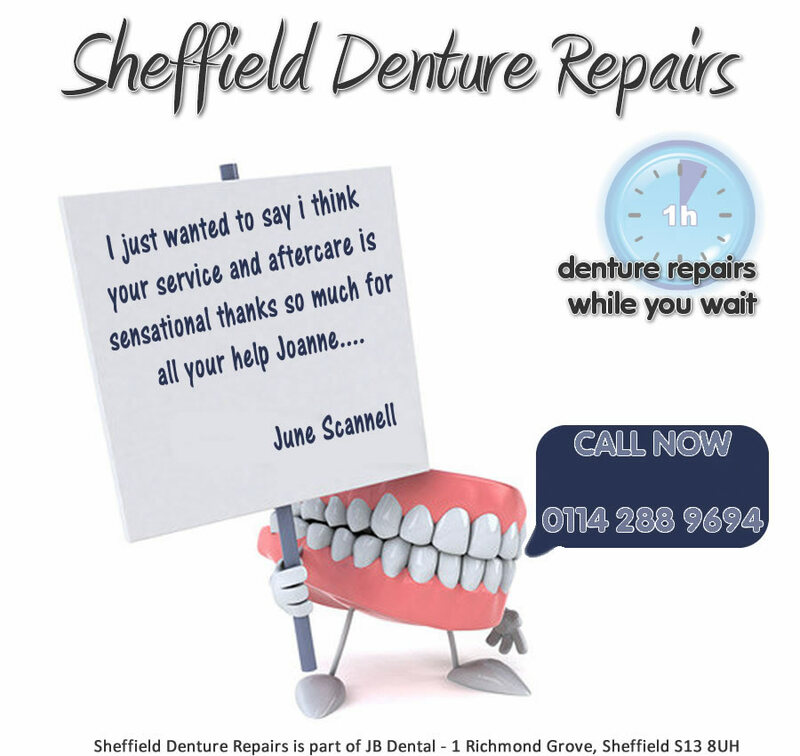 Sheffield Denture Repairs can fix or repair your cracked or broken dentures and while you wait. We can repair most cracks, dentures broken into two pieces and multiple fractures as well as repairing broken and chipped false teeth. If we cannot repair your denture we will notify you at the time of drop off. Denture Repairs are quick and easy. Our denture repair service in Sheffield, South Yorkshire is available by calling the number 01142889694.